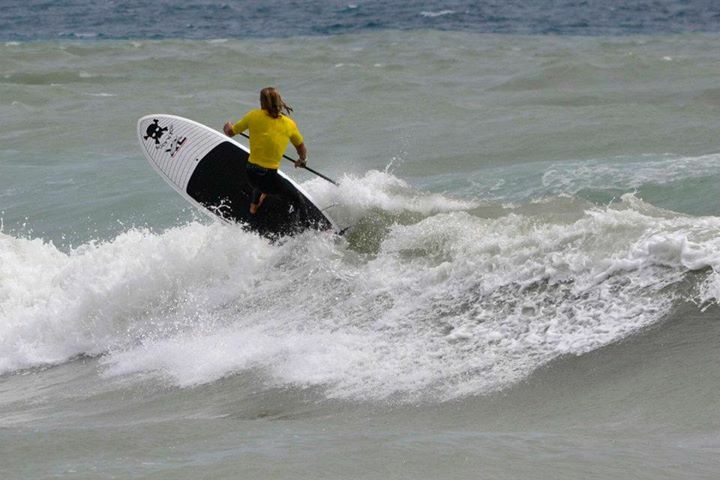 Jimmy Lewis Kwad SUP Surf board – SUP, Windsurfing UK. 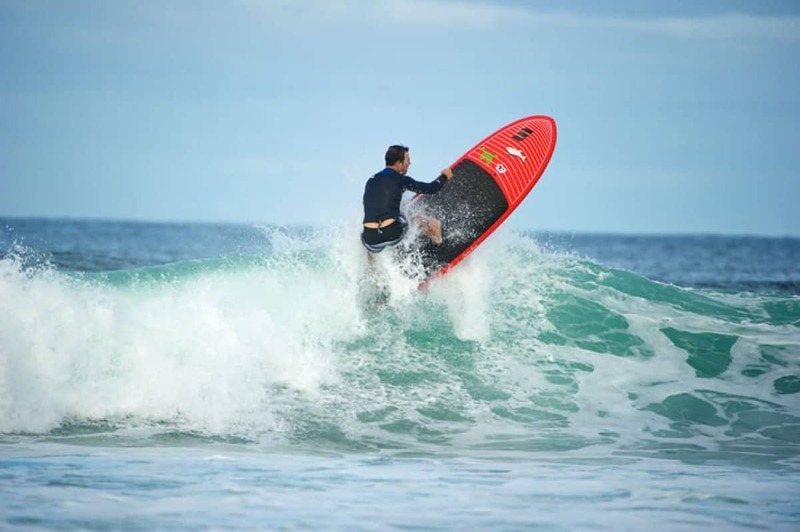 Jimmy Lewis Kwad sup surf board gives a software more relaxed feel to sup surfing. 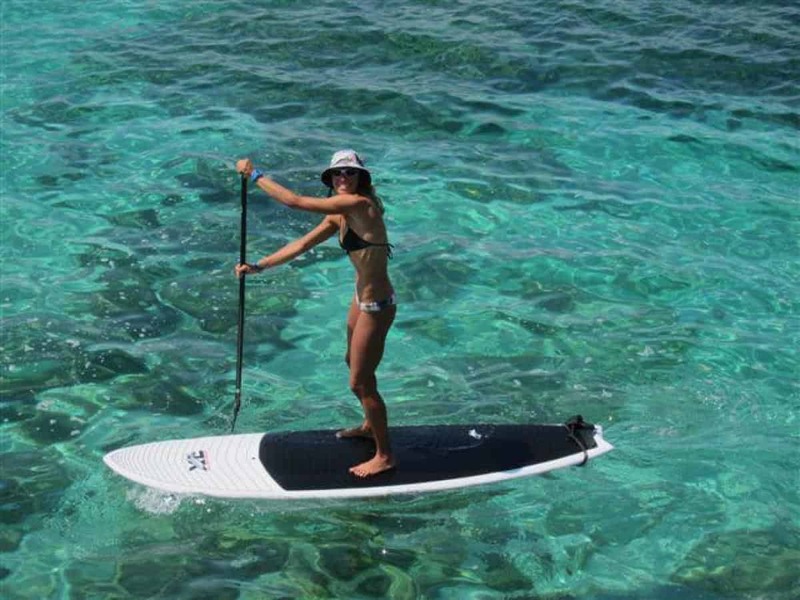 The profile shape delivers huge stability and manouverability so get on and enjoy. 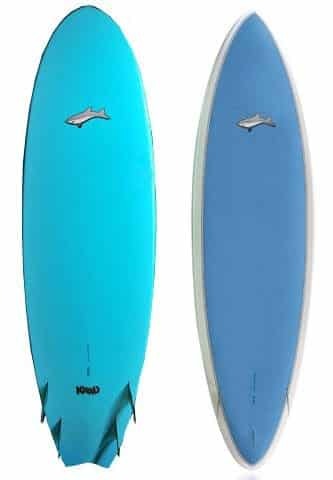 The Jimmy Lewis Kwad is one of those boards that defies convention and helps bring high performance shortboard sup to the masses and in particular bigger blokes. 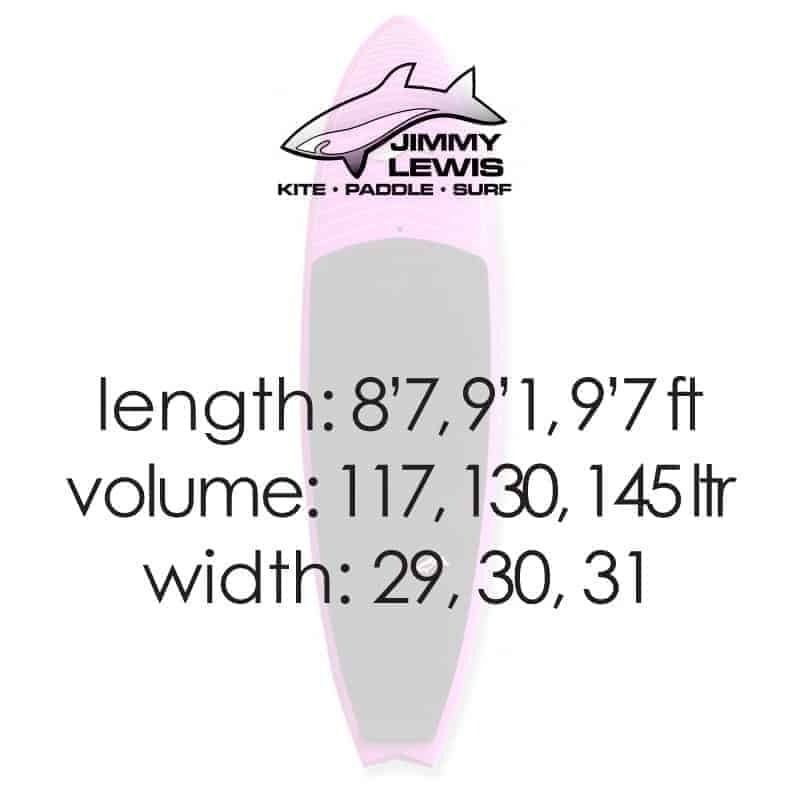 The target for the Jimmy Lewis Kwad is someone looking for a high performance wave sup who likes the extra speed and bite delivered by a quad fin setup. 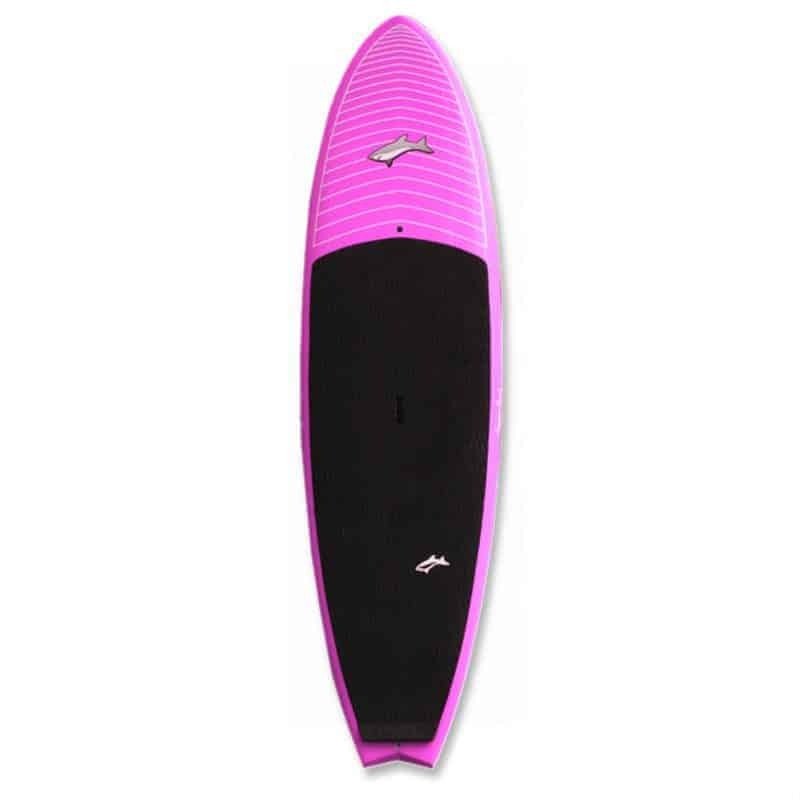 But there is one big difference between this and the other short board sups that may just convince you this is the one board you need. You can see from the picture on the left that we have the undersides of the Jimmy Lewis Kwad and then the Stun Gun. Both are the same length and overall width but you can clearly see the wide point carries further forward and back on the Kwad. This additional width spread increases stability massively, but not only side to side but front to back as well. When I paddle the smaller 8’7 Stun Gun the board is a little tippy side to side but as the chop increases the front and back stability gets disturbed and you find that the nose can start catching. I am talking about messy water here, it is perfect if conditions are clean. Now compare this same water state on the Jimmy Lewis Kwad and you find both side to side and front and back stability is far greater due to the spread of the volume. I have regularly found myself jumping from the Stun Gun as the wind picks up and getting on the Kwad which only carries 5 more litres. I prefer the fact that I am spending less energy on staying upright and more on surfing waves which makes for a more fun session. The 9’1 and 8’7 Kwads have been the most popular sizes as they offer the lesser width and reduced volume. 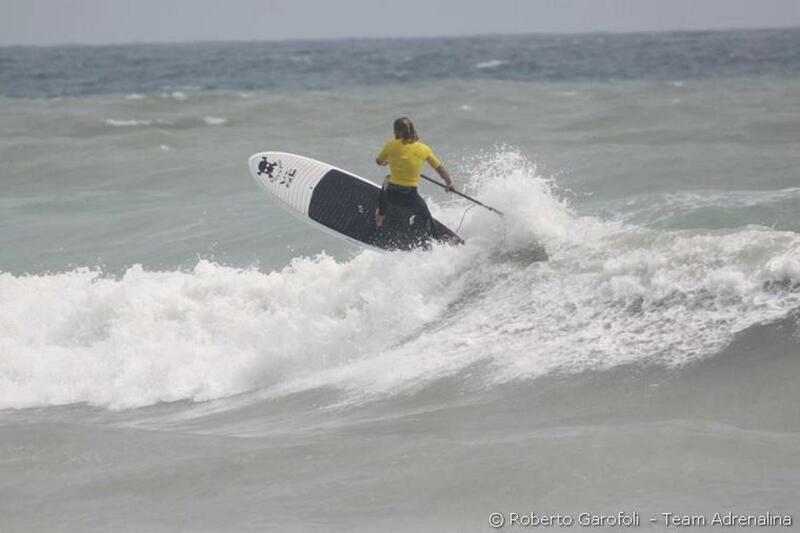 The 8’7 for a 90kg surfer offer a good size to performance ratio and is my own board of choice. If you are more in the 15 stone range then the 9’7 has plenty of volume and width to cater for you. This was a real surprise as an 8’7 usually needs a bit more of a wave to get and go. I think from having ridden the 8’7 so much now, the wider nose helps to skim to the board up onto the plane really early, but also stops it from diving even on steeper drops. As soon as you drop in and look down the line the board just follows your weight and the power kicks in from the fins. It is really easy to gain and maintain speed down the line. 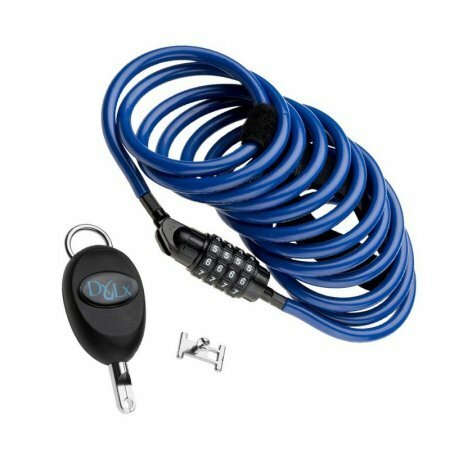 Even with a wider nose compared to the Stun Gun you don’t feel any extra nose weight but again I put this down to how much speed you have picked up.